Imagine this: the perfect, most ideal buyer discovers your work. She wants to know more! She falls deeply in love. You give her what she wants and she becomes a long-time fan and evangelist of your genius. You two go on to connect, collaborate, and delight each other with your perfect-fit-ness. In a successful business, this happens every day, multiple times a day. And it's no mystery – it's simply a well-crafted Customer Path. increases sales, connection, impact (and money). Connecting with customers can take a lot of time and energy, and since you're a one-woman show, you need to focus on the tasks that are easy, effective, and enticing. This is a customer path. 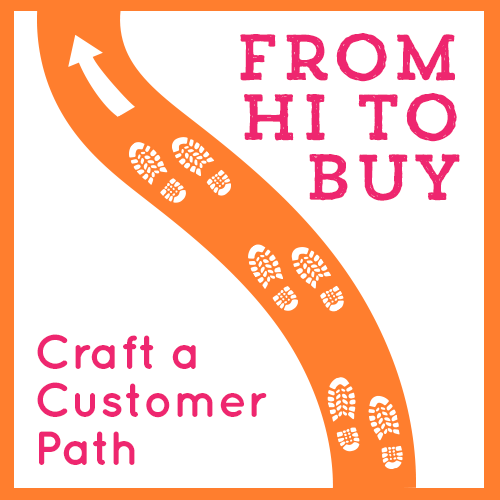 A customer path is the journey a potential buyer takes from “Hi!” (they just discovered you) to “Buy” (they're ready to invest in what you make). It is a cohesive marketing plan, one that makes sense. One that is easy and fast enough for you to stick with. A customer path naturally leads a potential buyer, step by step, into a deeper relationship with you and your work. And it doesn't have to take up all your time. The fact is, you already have a customer path. There is already a way to find you, fall in love, and buy from you … but if this isn't happening enough, your customer path needs tending. Instead of trying a bunch of new things, you need to make the path you have easier, smarter, and more effective. In this new class, we'll craft your most effective Customer Path. Why your follower numbers don't matter as much as you think. Why RSS is NOT enough + what works better. How to create content that keeps people coming back. How to feel great asking for the sale. How to stop wasting your time on social media. The easy way to create rabid fans + sell out your shop. Most importantly, you'll learn how to craft and maintain a customer path that works for you and your business. You'll find what's working, improve on what's not, and still have time to make your product. Understanding and identifying your customer path will save you time, money, and stress. You'll know what to say, so you can speak clearly to your most-likely-to-buy reader. And you'll make more sales, because you'll be talking to people who want to hear from you. You'll know what to do with your marketing, so you can get back to making your art. When you complete the class, you'll receive several bonuses! A pretty PDF with the entire class (lessons, transcripts, worksheets) all in one place, so you can refer to this again and again as you grow! To join, just click the big Register button! But if you want to get ALL the classes I do (and have ever done) for free, check out the Starship! A week-long, live digital class, starting May 26th. 5 lessons (audio + written transcripts + worksheets) emailed right to you. A workbook that will uncover YOUR customer path + clarify your plan of action. An online space for you to connect and get feedback from the other biz smarties in the class. 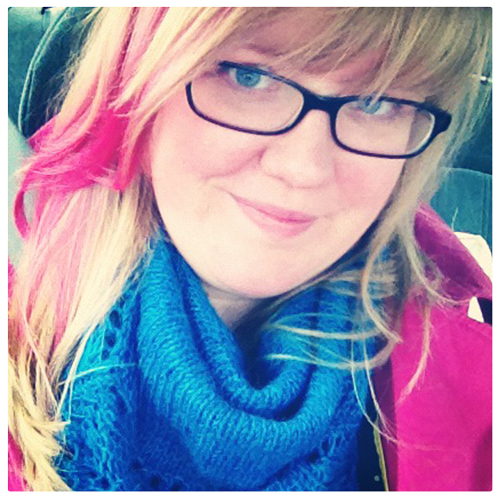 A look at my own Customer Path + why I do what I do. As soon as you register, you will be prompted to create an account and log in to the class space. You will have immediate access to the class space + Welcome lesson, along with a bonus that will make sure the class works for you. Class begins on May 26th. Each weekday, you'll receive an email with access to new class materials. Want to increase sales + reach more people. Aren't sure what to say in email newsletters … or if you even need one. Feel like all your marketing is a waste of time – is it even working?! Don't already know what you sell (or soon will sell). Have absolutely no Internet presence (Etsy shop, website, any social media). You don't need to have it ALL together, but you should be comfortable working online. *If you have no idea who buys (or will buy) what you sell or you haven't started (yet), start with my book. You can watch or read through each day's lesson in less than 20 minutes. The worksheets will challenge you to think it through for your OWN business, so it will take 15-30 minutes of uninterrupted thinking and writing time. You may need to think about it throughout your day and come back with a clear answer the following day. You can take as much or as little time as you want for asking your questions (or reading other people's). I'm afraid it won't help – that nothing will help. Oh honey, I understand. Building a business is a long, complex, frustrating journey. There is no ONE class, tool, or strategy that will solve every problem. There is no ONE marketing tip or tool I can share that will work for everyone. But what does work, in 100% of businesses, is building a strong + consistent communication with your potential buyers. By connecting with the people who want your goods, you'll learn so much about what else you need to do to grow. In this class, you'll specifically learn how to fit all your various marketing bits into one cohesive whole, one path. You'll cut out all the redundant or useless stuff. This will reduce your frustration, wasted time, and general apathy towards your business. Getting clear on one area (like your Customer Path) will help you get clear on everything else. And if it doesn't — check out the refund policy in the next question…. What if I change my mind or it doesn't work for me? I want you to build exactly the kind of business that works for you. If this class doesn't help you get there, you can get a 100% refund! If you change your mind before we begin, let me know before the class starts on May 26th. If you aren't satisfied after you take the class, just email vulcan@taraswiger.com with all of your completed worksheets attached (because the class will only work if you use it! ), any time within 90 days of the last day of class, or by August 30th, 2014. Within two business days, we'll refund your Paypal account in full. I'm dedicated to making each class useful for every student. I'll be available throughout the live version (May 26-May 31) of the class to answer all of your questions and help you apply the lessons to your own business. If you have any issue, please it bring it to my attention and we'll fix it immediately. Got a question? Send it my way by clicking here! Remember: Registration closes on May 23rd.